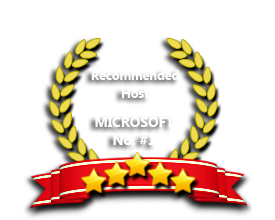 ASPHostPortal is the leading provider of Windows hosting and affordable PrestaShop 1.7.3.0 Hosting. Our price starts from $4.49 per month. Are you ready for PrestaShop v.1.7.3.0? The new back-office is sleek and intelligent, making it simple for online merchants to know absolutely everything about their online shop! PrestaShop is an open source eCommerce solution. It comes with a variety of tools necessary for building a successful online shop. To create an online store with PrestaShop you need reliable web hosting services. If you are looking for the right Windows ASP.NET hosting that support PrestaShop 1.7.3.0 hosting provider, we are the right choice for you. Why Should You Choose ASPHostPortal.com for Your PrestaShop 1.7.3.0 Web Hosting? Our support team is extremely fast and can help you with setting up and using PrestaShop 1.7.3.0 on your account. Our customer support will help you 24 hours a day, 7 days a week and 365 days a year. Our Windows Cloud Hosting fully supports PrestaShop 1.7.3.0 hosting. You are more than welcome to try our Free Windows Cloud Hosting before you decide to buy. You can get your Free Cloud Windows hosting account up and running within the next few minutes.